Creating and placing a custom-designed dental crown is one of the most common dental treatments. A dental crown fits over the entire tooth and are commonly used to reinforce a damaged or decayed tooth. They are also part of the routine final steps for root canals and dental implants. Until recently, crowns and other types of dental restorations traditionally required a time-consuming process that could sometimes take weeks at an off-site laboratory, in office fittings, multiple adjustments to the crown at the lab, and final fitting in the office. 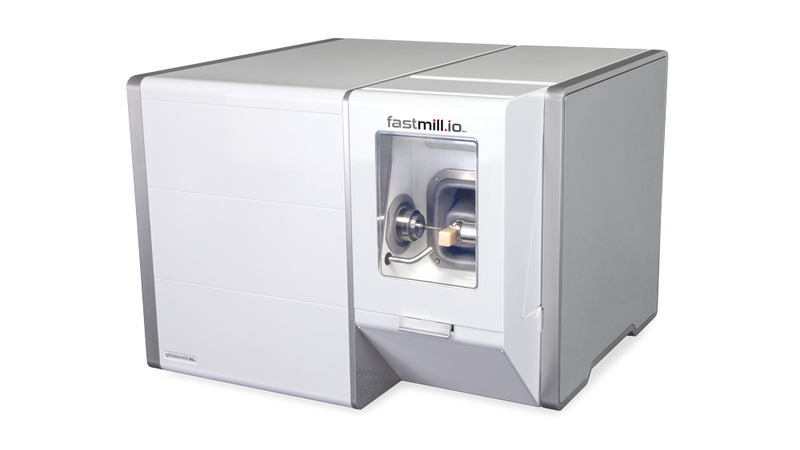 The Glidewell Fastmill.io® in-office milling machine allows the timeline to reduce to about a day, with in-office milling, fitting, and adjustment on the same day. Our team programs the Glidewell Fastmill.io® machine to accurately mill the crown within millimeters in about five minutes. This crown can be placed the same day, and many times doesn't need any adjustments or follow up visits. This is very beneficial when multiple crowns are needed, as the computer designs them to more accurately fit your mouth, taking into account your bite and dentition. Our team will discuss the options for using this advanced technology to complete your crown.